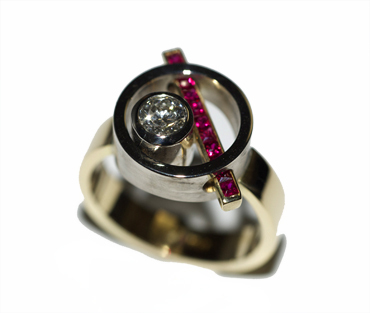 18ct yellow and white gold set with rubies and diamond. Lucky lady, wedding on Sunday. Gotta love a custom make when someone's prepared to step out of the square!